One Day Tour Activity to Nusa Penida Island by Fast Boat from sanur harbour will give you an experience you will never forget. This is combine tour we offer to you during your holiday, by doing this triple snorkling places and sightseeing tour to Nusa Penida Island will make your day fantastic. The tour will assist by our professional Bali Driver by perform excellent tour services with private car, clean, comortable and good A/C condition, we will provide maximum sevice so that your trip while visiting Bali will be more fun. 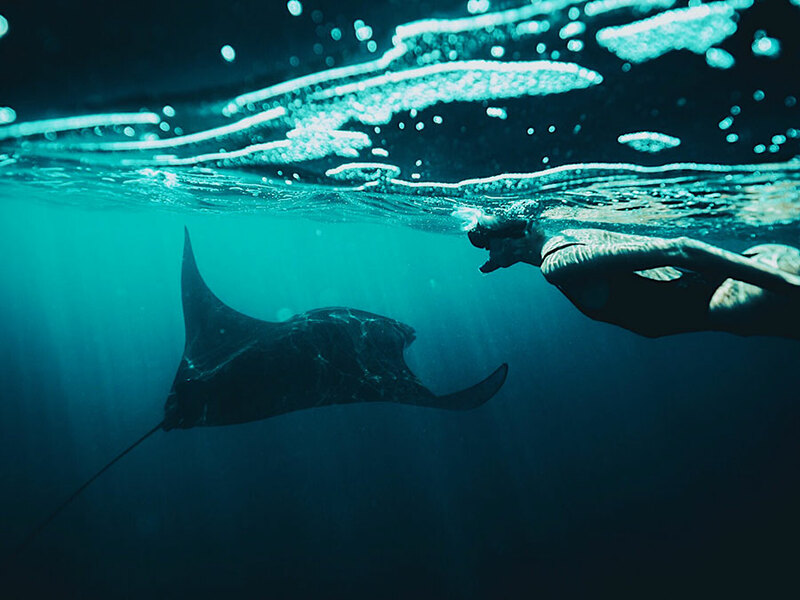 Manta Bay – Located on Nusa Penida, Manta Bay is famous for being a regular feeding spot for these beautiful creatures. Swim with the majestic manta rays of Nusa Penida on an amazing snorkeling trip from Bali. Stop at the famous Manta Bay, discover the natural beauty of Crystal Bay and go to Mangrove Point for the perfect snorkeling adventure in the Indian Ocean. Wall Point – is located in Toya pakeh and it is a shallow area. Coral reefs with colourful fish is a wonderful undersea view you will enjoy at Wall point. Photographers wouldn’t miss their chance to have great photoshoot with the undersea view. Wall point is one of destinations in Nusa penida for snorkeling which must be put in a tour package. 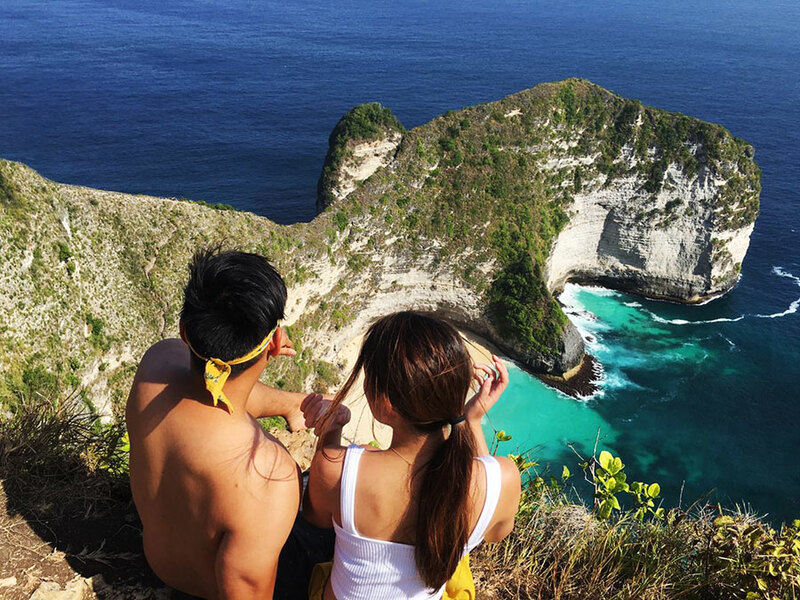 Many visitors currently visit wall point as their tour destination although it is not as famous as Crystal Bay and other destinations in Nusa Penida. Crystal Bay – is a bay in the western of Nusa Penida island. The Crystal has white sand that mixed with the black sand. It also has a small island in the west side and the temple near the beach. The Crystal Bay beach is popular for diving to meet the rare Mola mola sunfish and Manta. It also famous place to watch the sunset. The Crystal Bay beach named because of the clarity of the water. Some people said it’s like crystal or clear water. 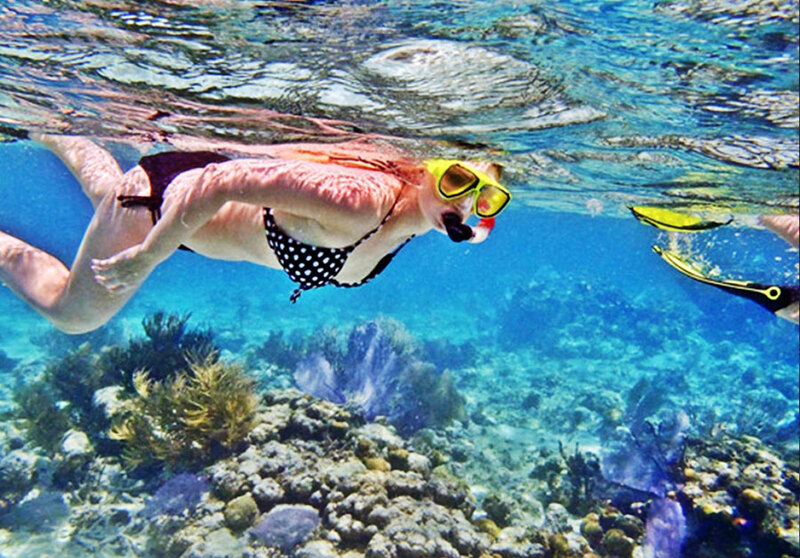 It’s really good for water activities such as snorkeling and diving. With a huge variety of tropical fish and corals, snorkelling in Nusa Penida is a “must do” activity. More than 250 species of fish have been recorded during the recent survey by our marine biologist. Snorkelling & diving in Nusa Penida is an experience to be treasured and remembered! Broken Beach (Pasih Uug) – is a large cave that has lost its roof over time. Watch from above as the water come in with the tide, it has a small beach but this cannot be accessed by land. A great place to take photos and giant mantas can sometimes been seen swimming in the sea below. Angel billabong is about 200 metres away, it is a natural infinity pool – best viewed at low tide. Be careful when climbing down to take a swim. Angel Billabong – is the final estuary of the river that empties into the island of Nusa Penida. The estuary of the river has a very clear and calm water. Besides, there are beautiful fault that form a green turquoise pond. At the bottom of this estuary there is a yellow-green rock that adds more to Angel’s Billabong’s beauty. Well.. if you look a clear pool like that, surely you wat to swim, right! but to get to the water you have to go down the rocky cliffs rather sharp and steep, so it takes an adventurous spirit to be able to dare to descend. Kelingking Beach – This T-Rex shaped cliff side at Kelingking Beach has rocketed tourism into the sky with it’s natural iconic beauty. Thanks to social media, Instagram especially, this view point is now top of most people’s lists of attractions when heading over to Bali. To be able to swim or down to the location of this natural pool, it’s good to ask the guide or the local residents, because under certain conditions, especially if the sea water is high or wavy, then we will not go down, because the risk carried by the waves to the sea and can also be crashed into the rock cliffs are very steep. So, be carefull, keep your safety first!! try to come at a dropping or low tide and be prepared for the rugged road! Also know that there is no bathroom, but there is a small stand right by Broken Beach to buy snacks and water. The price is inclusive of : private pickup and drop, fast boat fee return, private tour at nusa penida, private boat for snorkling, snorkling equipment, entrance fee, insurance, mineral water and also english speaking driver. And most of all if need more information and book you can contact us, don’t forget we will be coming on YouTube channel, please follow and subscribe our channel to see interesting videos about beautiful place in Bali.